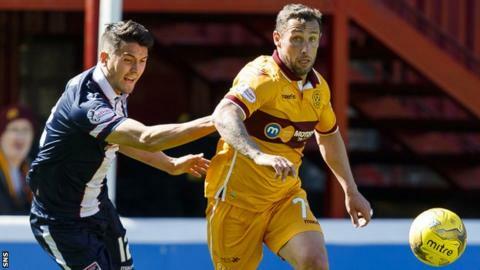 Ross County all but sealed their Premiership safety after beating Motherwell to leave the Steelmen in a precarious position. Scott McDonald had a shot saved for Well in the first half and Lionel Ainsworth went close in the second. But Christopher Routis netted from close range to give County the lead. Motherwell struggled to create chances after falling behind and they remain second bottom, but now just four points above Inverness Caledonian Thistle. Jim McIntyre's County are now safe from automatic relegation and are seven points clear of Motherwell, who occupy the relegation play-off spot with three games to go. Hamilton Academical are level on points with Well but have a superior goal difference before their Lanarkshire derby meeting at New Douglas Park next Saturday. Both sides are four points above Inverness Caledonian Thistle, who beat Accies 2-1 earlier on Saturday. The first half at Fir Park was far from a classic - inaccurate deliveries and poorly taken set pieces - perhaps a sign of nerves. Motherwell failed to take advantage of four early corners and County did not fare much better, Michael Gardyne breaking free but sending his effort well over. McDonald fired at goalkeeper Scott Fox and Elliott Frear sent a fizzer across the face of goal but there were no Motherwell takers. Better would be required in the second half and both teams duly obliged. Frear produced two fabulous bursts down the left wing, while Tim Chow missed a glorious County chance and Craig Curran's header was saved by Motherwell's Russell Griffiths, who started ahead of regular keeper Craig Samson. Referee Bobby Madden had a decision to make when Frear went down in the box. No penalty was the call from the match official. The game had well and truly sparked into life and an Ainsworth free-kick was kept out by Fox. Winger Ainsworth, back in the Motherwell starting line-up, kept his effort low but Fox did really well to turn it round the post. The hosts looked the more likely to score but against the run of play the visitors stole in and netted, Routis at the back post connecting with a ball across by Reghan Tumilty. The Motherwell heads did not go down and they continued to press but County held firm. And in the end it would be a sore one for Motherwell and a happy trip home to the Highlands for Ross County as they edge closer to safety. Motherwell manager Stephen Robinson: "It's disappointing. "We've dominated large parts of the game again but you don't win games by dominating possession. You have to take your chances. 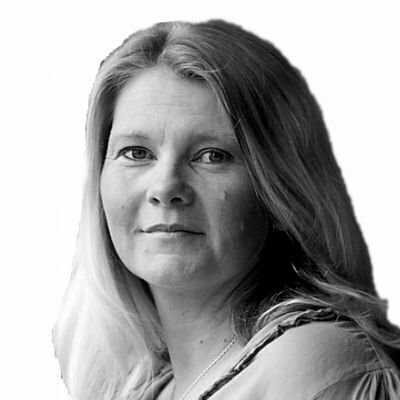 "We make an individual error that costs us the game. "It becomes a huge game against Hamilton next week. "We've dominated probably the last four or five games without getting the results that we should've done. It's still in our hands, everything's in our hands so we won't be feeling sorry for ourselves." Ross County manager Jim McIntyre: "We're hopeful it will be significant. "It was a really tough match. There wasn't a lot of quality in the game. It was very frantic. "I thought we defended ever so well. "I've got to pay tribute to the substitutions as well because every one of them played their part and were key in the goal as well. "We get the goal at the right time and we hang on. "Our focus has been trying to stay unbeaten. Coming into this game we were four unbeaten, that's five now." Match ends, Motherwell 0, Ross County 1. Second Half ends, Motherwell 0, Ross County 1. Attempt blocked. Craig Clay (Motherwell) right footed shot from the centre of the box is blocked. Corner, Motherwell. Conceded by Scott Fox. Reghan Tumility (Ross County) wins a free kick in the attacking half. Corner, Motherwell. Conceded by Michael Gardyne. Substitution, Motherwell. Craig Clay replaces Allan Campbell. Attempt blocked. Allan Campbell (Motherwell) right footed shot from the right side of the box is blocked. Corner, Ross County. Conceded by Ben Heneghan. Attempt blocked. Craig Curran (Ross County) right footed shot from the centre of the box is blocked. Attempt missed. Jonathan Franks (Ross County) right footed shot from outside the box is just a bit too high. Substitution, Motherwell. Ryan Bowman replaces Lionel Ainsworth. Corner, Ross County. Conceded by Zak Jules. Foul by Chris Cadden (Motherwell). Goal! Motherwell 0, Ross County 1. Christopher Routis (Ross County) left footed shot from the left side of the six yard box to the top left corner. Assisted by Michael Gardyne. Allan Campbell (Motherwell) wins a free kick in the defensive half. Lionel Ainsworth (Motherwell) wins a free kick in the attacking half. Substitution, Motherwell. Zak Jules replaces Steven Hammell. Foul by Lionel Ainsworth (Motherwell). Substitution, Ross County. Jonathan Franks replaces Jim O'Brien. Attempt saved. Scott McDonald (Motherwell) right footed shot from outside the box is saved in the bottom left corner. Attempt missed. Lionel Ainsworth (Motherwell) right footed shot from a difficult angle on the right is close, but misses to the right. Attempt saved. Craig Curran (Ross County) header from the centre of the box is saved in the centre of the goal. Corner, Motherwell. Conceded by Andrew Davies.